Hello, I am Steve White, 48yrs of age. I am the owner and sole trader of my business Sweep Chief providing comprehensive chimney sweeping services for all solid fuel fires and stoves/burners and provide a minor maintenance service relating to such appliances. I began the business this year after retiring from the Police service as a Chief Inspector after completing 32 years service. I continue to live by and operate my business within the values of integrity, professionalism, fairness and respect and am committed to delivering a professional, dependable and honest service to my clients. I currently conduct traditional manual and more modern technique rotary power sweeping of all solid fuel fires and multi fuel burners. I use the Snaplok system of power sweeping. I am proud to be the “Chimney Detective” in searching for and finding issues that may affect safety and protect from chimney fires and carbon monoxide poisoning. I can advise on and provide solutions in regards to maintenance issues relating to your appliance including provision of bird cowls, carbon monoxide alarms and flue temperature gauges to ensure burners are at their most efficient. I can also conduct CCTV inspections of flues and linings. I take particular pride, in line with the National Association of Chimney Sweeps, of complying with their code of conduct and representing the association in my work. 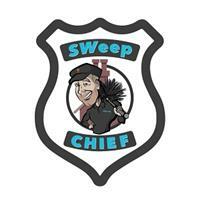 I have full public liability insurance and issue the necessary certification after each sweep.